In 2013, the Senate of Berlin adopted the Berlin cycling strategy. This strategy was a first and important step towards improving the cycling infrastructure in the city. However, not much has happened since adoption of the strategy. Its implementation has been delayed/neglected, which has prevented a coherent cycling network from being developed. Even restoration of damaged cycling lanes or improvements of the connections of existing cycling lanes with other roads have not been performed. Despite all of this, the number of cyclists in increasing rapidly because of more people recognizing the benefits of cycling as a means of transport. At the same time, the number of motorized vehicles driving through the city is increasing as well, thus hindering/hampering implementation of sustainable traffic policies. Particulate matter, noise levels, traffic accidents – every single bike that replace a car will increase the quality of life for all inhabitants of the city! Our idea: If the conditions for cycling are improved, the number of cyclist will rise allowing less experienced or insecure cyclists, such as the elderly and children, to discover the bike as an everyday means of transport to go to school, to visit friends and family, or for shopping. We can achieve this by organising a petition, but if it becomes necessary, we need to set up a referendum. Our focus is to create an open discussion forum and to align arrive at a consensus about the future of the city of Berlin. In what kind of city do we want to live? If the Berlin Senate is not listening to the people, we have to engage and support people to let their voice be heard. Learn more about our 10 objectives and arguments. In Berlin, civic organisations have the right to organize a referendum in a three-step process: (1) applying for a petition to hold a referendum, (2) the petition itself, (3) the referendum. For step one, at least 20,000 valid signatures in support of the petition have to be submitted to the Senate administration. These signatures have to be collected within six months. If the petition has the goal to implement official legislation, a draft version of this legislation has to be provided as well. After receiving the application for the petition, the Senate assesses its eligibility. This is done by checking the validity of the signatures provided. As a rule of thumb, 25% of the signatures are invalid, due to people signing the petition multiple times or signatures from people who are not official residents of Berlin. Furthermore, the compliance of the draft law with legal requirements is evaluated by the Senate. After the the validity of the application has been confirmed, the actual approval of the legislation needs to be organised. Within 4 months, the organisation has to collect approximately 175,000 valid signatures. The House of Representatives then has the opportunity to discuss the draft law within four months and to adopt it unchanged. Alternatively, the House of Representatives, can present alternative legislation, as was the case with the Tempelhofer Feld referendum. If the draft law is not adopted by the Senate, an official referendum will be organised. The inhabitants of Berlin will then be asked to officially vote on the petition. What is the relationship between the referendum and the 2017 national elections? Referenda in Berlin are subject to an official quota, that is, at least one quarter of the Berlin electorate has to vote in favor of the proposed legislation in order to make it official. To reach as many voters as possible, it is beneficial to align the voting on our initiative with regular elections. Therefore, we decided to align the voting on our petition with the 2017 national election. Although this increases the pressure for us to act fast, it will also improve the chance of success considerably. The 2016 elections in Berlin have also been important for open discussion of cycling in the city, drawing politicians’ attention to the initiative. 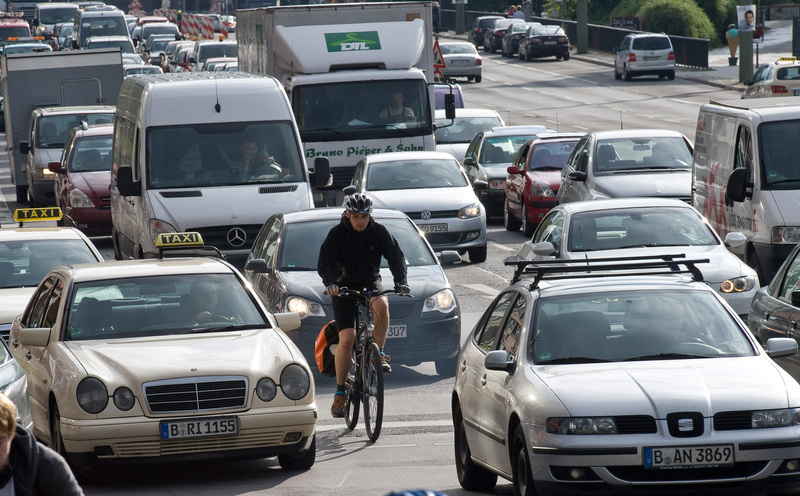 Because of the resulting public pressure, political parties had to position themselves in the debate about cycling and were compelled to clearly state their opinion on the future of cycling in Berlin. Information around actions and meetings can be found under Participate und Termine (dates). If you want up-to-date information, sign up for our newsletter or become a follower on facebook. In addition to your help, we also need money to turn this initiative into a big success. You can contribute by giving a small donation or becoming a sponsor. For more information look on donations and sponsors. Since our organisation is an official charity organisation, your donation are tax-deductible.